If you’ve worked hard to create a pristine garden and outdoor area at home or strived to build a tidy jobsite, it’s only right that you should be able to easily maintain your high standards. A battery powered leaf blower can save you time and effort on mundane tasks such as raking up leaves and sweeping away dirt, making these once-frustrating tasks a breeze. Here at SGS, we’re proud to offer a wide variety of leaf blowers to buy online from renowned garden power tool brands such as Milwaukee. If you’re looking to avoid the use of petrol or a power cord, then a cordless leaf blower can provide the power, mobility and long run time that you need, whether you’re on the job or tackling a personal project. Getting rid of clippings and debris from pathways, lawns and other outdoor areas not only takes up your valuable time, but it can be tiring work too. As with any garden task, having the right tool for the job is vital, and our powerful battery leaf blowers can help you quickly blow away mess while being light enough to allow you to move around your work area with ease. They’re also cordless, so you have the freedom to work where you want when you want. Our battery powered leaf blowers are quieter than petrol options, making them ideal if you’re working in a busy area or like to get to work early in the morning. With free next day delivery on orders over £50, you’ll be able to get your work or garden space looking its best in no time. 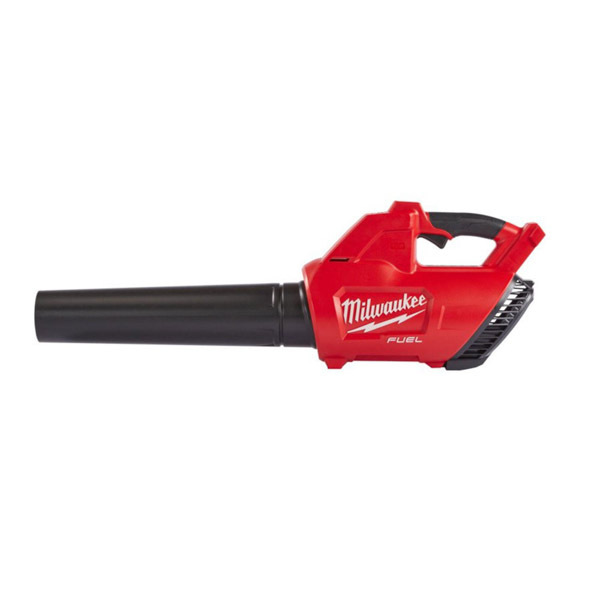 Our branded battery leaf blowers can tackle several domestic and commercial outdoor jobs. 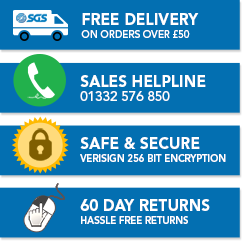 We only stock market-leading brands that we know and love, so we’re confident we have the right tool for your needs. If you’re not sure on the differences between the various types of leaf blowers or you have a question about a specific model, it’s easy to contact our helpful team of garden and outdoor experts to get the help you need. Whether you’re an experienced professional or a newcomer to garden power tools, it’s always good to find tips and tricks to help you manage your upcoming tasks. That’s why we’ve put together a helpful range of how-to and buying guides to help you get the most from your tools. The leaf blower is a powerful tool that can save you a lot of time and effort. Find out more about the key types available, including petrol, electric and battery powered. With so many garden tools out there, this handy guide picks out the best tools for specific gardening jobs. Using a strimmer can help you keep your garden looking pristine – but choosing the right one depends on what your garden is like. Read this guide to understand the differences.